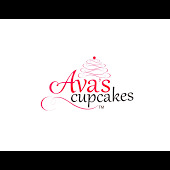 How Can I Go Ava's Cupcakes? Where is Ava's Cupcakes in Rockaway on the Map? Superb gluten-free cupcakes! Consistently fresh-baked and delicious! Love love love the apple pie cupcakes, with real apple filling and freshly whipped icing -- just the best all around! I discovered this place on my way home. After several drives back and forth to work I noticed the "cupcake wars winner" that sparked my curiosity to stop and give them a shot. Just as a side note - I love LOVE baking and sweets! especially cupcakes (they're mini bites of happiness =)) So after trying Ava's I was hooked! I stop by here every couple of weeks. Also, now whenever I go over to someone's house or celebrate a birthday or as a thank you instead of bring wine I bring cupcakes and they are always a hit! I am pretty sure I've made half of my friends and coworkers addicted to Ava's! Personal favorites - Guava Banana (what an amazing combo!) and Salted Vanilla caramel or the salted chocolate caramel - tie btw, if you join their facebook page you can see their specials of the day and which flavors they have available. Amazing!!! The cupcakes are so GREAT AND DELICIOUS! I drove from all the way from Bronx,Ny just to get some cupcakes!